Bangalore, Karnataka, India: At ISE 2019, Crestron, a global leader in workplace technology, demonstrated workplace communication solutions powered by its strategic partnership with Appspace. The easy-to-deploy combination of Crestron hardware and the Appspace® communications publishing platform makes it possible to keep employees and guests informed and engaged via digital signage, collaboration displays, and information kiosks. 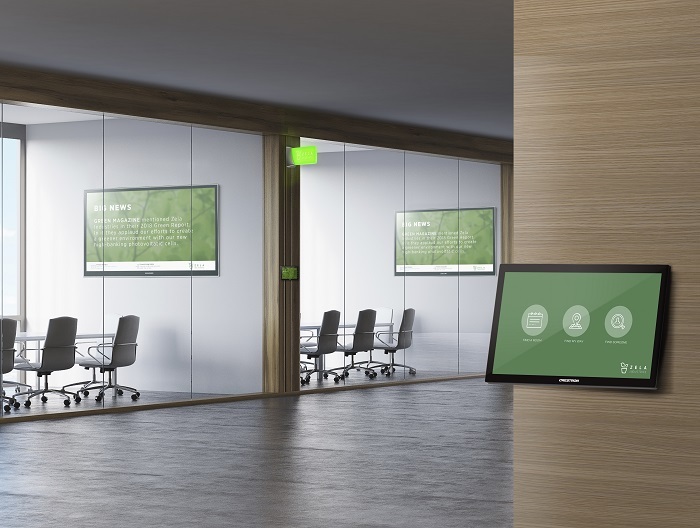 Additionally, Crestron® 7" and 10" TSW touch screens can natively run Appspace scheduling software, which links to digital signage and kiosks to provide wayfinding for employees. Crestron demonstrated these workplace communication solutions in Hall-2, Stand C20 at ISE 2019, 5 – 8 February.